Today, Justin Trudeau will officially become the new Prime Minister and as he reveals his cabinet, he will also reveal the priorities of this new Liberal government. After a campaign peppered with promises, his choices should signal how he'll move forward on the long list of expectations he's created. Many promises made on the campaign trail… all leading up to today, when Liberal leader Justin Trudeau is in as Canada's 23rd prime minister. 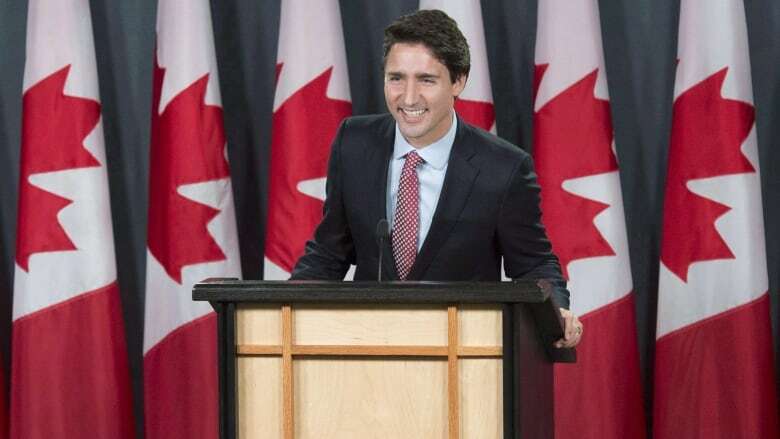 It's also a big day for the newly elected Liberal MPs, who will be named to Trudeau's first cabinet. They'll have a big task in front of them helping to push the prime minister's agenda, and deciding on priorities amidst all those promises. And just who's in and out of that cabinet ought to offer the clearest signal yet of the new prime minister's top priorities for the next four years. John Duffy was a senior strategist to former Prime Minister Paul Martin, and is a founding partner of Strategy Corp, a public affairs consulting firm. Marie Vastelis the parliamentary correspondent for Le Devoir in Ottawa. Richard Johnston is a professor of political science at the University of British Columbia. This segment was produced by The Current's Idella Sturino, Ing Wong-Ward, Karin Marley, Erin Pettit and Ottawa Network prodcuer Matthew Kupfer.